This route is part of our story – Best Road Trips from Bangalore. Click image below to check out other routes. Approximate driving distance on the shortest route is 311 kms* through Krishnagiri NH7 and Thiruvannamalai NH66. Alternately, you could take a longer (375 kms*) but more comfortable route through Vellore NH46 and Thindivanam NH66. A much longer (510 kms*) route would be through Chennai NH49 and East Coast Road SH49. Gingee fort is a complex of structures across three hills. Ruled by many dynasties along ages, this is one of the very few surviving forts in Tamil Nadu. East Coast Road is a good drive with several small beaches. 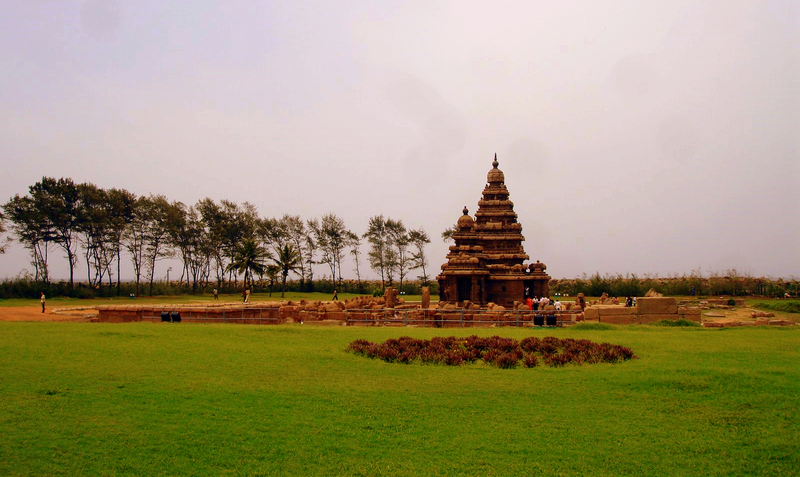 Culture vultures should not miss the UNESCO World Heritage Site at Mahabalipuram, known for the shore temples and monuments, mostly cave and structural temples, rock carvings and monolithic chariots. Arts and crafts enthusiasts will fancy India’s largest artists’ commune Cholamandal Artists’ Village. Also, towards Chennai, Kanchipuram, is known for its namesake silk sarees, has Geographical Indication (GI) tag and could burn a hole in your pocket. Although petrol stations are available, clean washrooms would be hard to find on the highway. Plan to reach Pondicherry to catch the sunrise. Protected with crash railings, The Golden Quadrilateral highway which connects Indian metros passes through Bangalore onto Chennai. Depending on which route you choose, sections of this route are part of that. Look out for dedicated exits from the highway for pit stops. 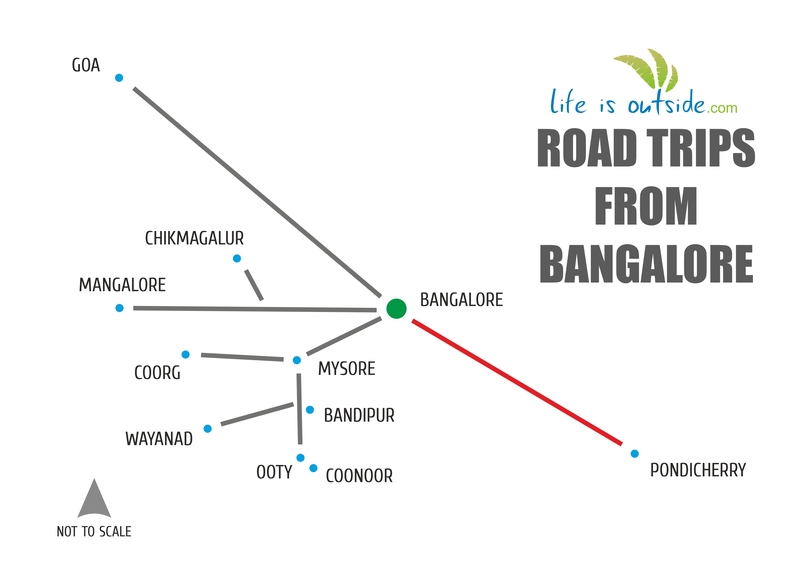 LifeIsOutside has a collection of hotels, resorts, homestays as heritage and beachside properties and on this route. Explore Places to stay in Pondicherry.